Meeting collaboration tools have become a familiar fixture in conference rooms, allowing meeting participants to share content from their screens in the course of presenting or discussing a topic. As a discussion progresses, other attendees may want to highlight or annotate portions of the shared content. The problem, until now, is that existing annotation tools have failed to offer a truly collaborative experience. 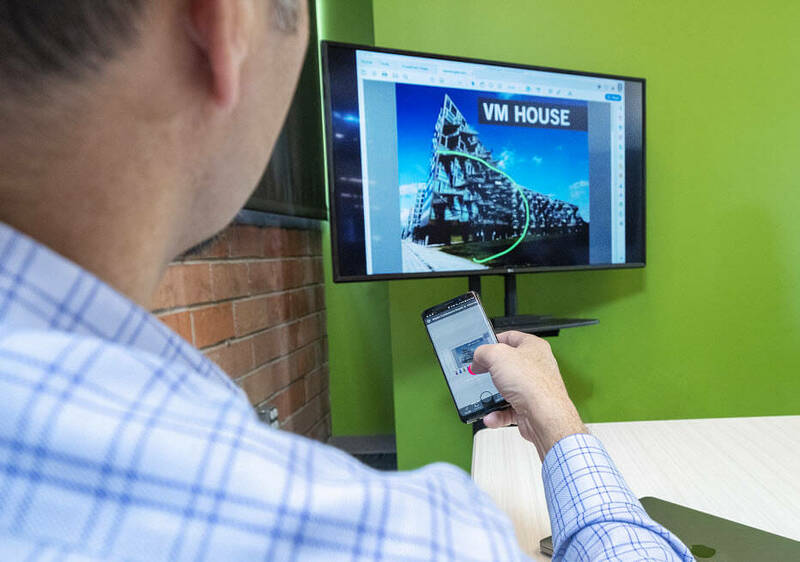 In the pre-collaboration technology days, meeting presenters would project a PowerPoint on a conference room display and refer to its content by pointing with a finger, laser, or mouse-based pointer. Meeting participants would be given hard copies of the presentation. If someone wanted to discuss specific content, they would refer their fellow attendees to a page and line. If they wanted to mark it up, they would do so by hand or by directing the presenter to input changes. Annotation features of content sharing software that require users to pause the discussion while they select the desired function on the toolbar and then execute the function via a mouse-driven action. None of these annotation solutions provides a user experience that is intuitive, rich, and inclusive. Users want a solution as intuitive as interacting with a touch screen, as multi-functional as annotation toolbars, and as easy as staying seated and marking up a hard copy with a pen. On February 5, 2019, Mersive launched Solstice Ink at the ISE industry trade show in Amsterdam, breaking new ground in annotation tools. Solstice Ink is embedded within the Solstice app (available for iOS and Android) that meeting participants can use from the comfort of their seats to highlight and temporarily mark-up content shared to a Solstice-enabled display. It is the only wireless, smartphone-based, point-and-annotate solution on the market. Available in the mobile version of the Solstice App (for iOS and Android devices), Solstice Ink allows users to highlight and temporarily mark up content on the Solstice display from anywhere in the room by simply pointing and drawing with their smartphones. When content is displayed on a Solstice-enabled display, users press and hold the app’s Solstice Ink button or drag the button to the center of their device screen, to use their phone as a wireless pointing and annotation tool. To call attention to specific content, tapping the Solstice Ink button makes a pointer pulse on-screen. Dragging the Solstice Ink button to the center of the smartphone screen and holding it gives users the ability to draw on the shared document simply by pointing and moving their phone in the air. What’s more, multiple users can simultaneously use Solstice Ink to highlight and mark-up a screen-shared document. No longer is the single person touching a screen or manipulating a mouse the only one in control of the annotation function. Now everyone in the room who has the Solstice Ink app installed on their phones can weigh-in simultaneously, allowing for true collaboration and improved meeting flow. Mersive’s Solstice 4.0 and Gen3 Pod collaboration platform, now with Solstice Ink, provides industry-leading functionality for sharing and truly collaborating on content in a group setting, enhancing your business’s meeting productivity and efficiency.